Algorithms, metrics, and LMS data may hold the key to unlocking online training success. 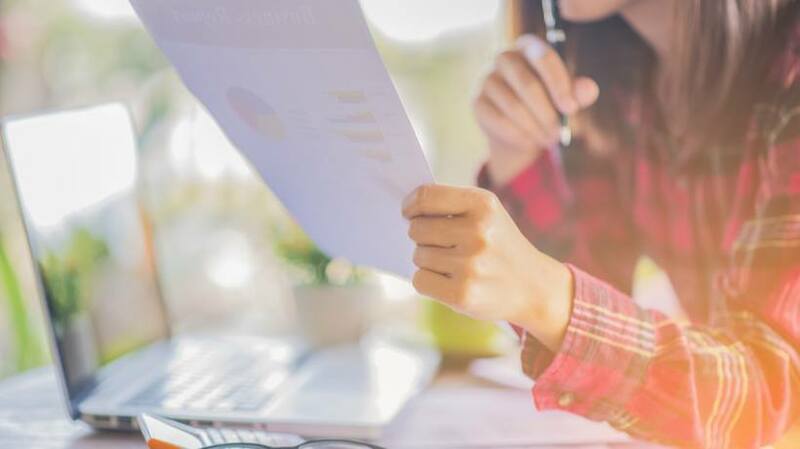 In this article, I’ll explore the 5 top reasons for using predictive analytics in corporate eLearning to achieve the desired outcomes and lower employee attrition rates. Ever wish you had a crystal ball that allowed you to gaze into the future of your organization? Just imagine what you could achieve if you knew how your employees would perform and which online training resources they’d require? Fortunately, you don’t need to have psychic abilities to project learning outcomes and provide targeted online training. LMS platforms that feature predictive analytics allow you to utilize the power of algorithms and user data to improve online training effectiveness. Let’s take a closer look at the basics and benefits of predictive analytics in eLearning, with a focus on the corporate sector. Predictive analytics rely on algorithms and LMS data to anticipate which online training resources a corporate learner needs and how they will perform in future corporate eLearning courses. As an example, a corporate learner frequently accesses the LMS, scores high in online assessments, and exhibits task mastery. Thus, the system may predict that this employee will perform well in online training activities or modules that center on related skill sets or talents. This is based on their level of engagement and participation, as well as past performance indicators. 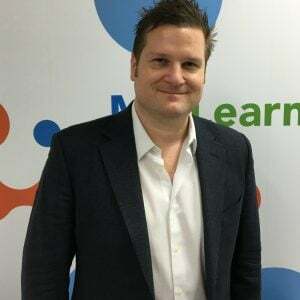 The LMS gathers all the data, applies Machine Learning algorithms, then provides corporate learners with the online training resources they require. As a result, every member of your team is able to pursue personalized online training paths to bridge gaps and improve workplace performance. For example, the system may recommend an online training simulation to improve proficiency based on low assessment scores, or determine which online training activities or courses will increase active participation. Even external data sources can be plugged into the system to provide a more accurate employee profile, such as customer surveys, manager evaluations, and on-the-job observations. Every employee on your payroll has unique training needs that cannot be fulfilled by generic coursework. They must be able to focus on their own areas for improvement and continually hone their strengths. Predictive analytics gives you the power to evaluate employees on an individual basis and identify their gaps, goals, and preferences. For example, they access sales online training simulations and negotiation skill-building activities most frequently. Thus, the LMS can predict that this employee will enjoy other online training resources that involve sales-related topics, such as product knowledge demos. Predictive analytics can show the career movements of existing employees so that you can project where their professional path is heading. As a result, they receive the online training resources they need to achieve personal milestones. For example, an employee is climbing the corporate ladder one rung at a time. They started out as a sales clerk, now they are a supervisor. Chances are, they plan on applying for a managerial or regional rep position in the near future. So, upskilling online training resources will help them get a head start. In addition, predictive analytics can help you track employee progress to see if they’re improving upon weaknesses or keeping pace with their peers. Employee turnover is a significant challenge for organizations. Not only do you lose your top talent, but you must also invest in recruiting and training replacement staff. Predictive analytics can help you predict which employees are more likely to stay or leave the organization. For example, the system reveals that an employee is no longer participating in online training activities or they are struggling to complete coursework. This is an indication that they’re losing interest in their professional development and possibly the organization as a whole. Likewise, employees who show genuine interest in their own L&D and continually improve are more likely to remain with the company. In either case, the system gives you the data you need to allocate your online training resources more effectively and intervene when necessary. For instance, offer unmotivated employees online training resources to boost engagement and focus on their personal learning goals. Certain employees are in it for the long haul. They are ready to acknowledge their gaps and take actionable steps to remedy the problem. Others may not be as dedicated to the organization and aren’t willing to make the most of your online training resources. Predictive analytics helps to detect which employees would benefit the most from corporate eLearning, as well as bring the most value to the organization by receiving additional training. For instance, self-starters who are eager to upskill and improve their product knowledge so that they increase their sales figures. These employees warrant the investment, because they understand the importance of continual training. This means that you can identify employee assets who will help your organization achieve success, even if they aren’t currently top performers. Satisfied employees who receive personalized online training resources are happier on the job. This translates into greater workplace productivity and active online training participation. Predictive analytics forecast which online training activities are meaningful and relevant to them instead of forcing them to participate in mandatory corporate eLearning courses that skim right over their individual training needs. Their past performance, job responsibilities, and plans for the future all play a vital role in their current online training plan. As such, they are likely to stay with the organization and keep honing their abilities for years to come. Predictive analytics used in combination with a Learning Management System provides adaptive and learner-centered online training experiences. Every member of your organization has access to targeted online training resources based on a comprehensive overview, which includes past behaviors, online assessment results, and a variety of other crucial criteria. As such, you can create more holistic corporate eLearning courses that are intuitive and individualized. Looking for more than just a Learning Management System? Take this free trial.